If you and I were sitting around a roaring fire and chatting about life and our dreams and aspirations for 2016, I would hope we’d find ourselves chuckling and at ease. But, I’d also want us to stay real and transparent that we don’t always have life figured out and wrapped with a sparkly bow. Life just gets messy at times, but thankfully we don’t have to stay in the mess. In our little fireside chat, here are some things I’d like us to ponder. Am I an approachable person? Who do I allow to speak truth into my life? What keeps me from receiving insight or correction from others? What little things am I letting eat away at me? How might I risk more authenticity in relationships? 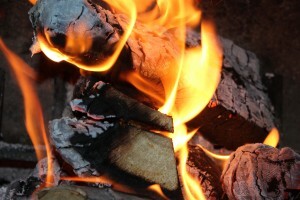 I wonder what problems I’d share with you over the crackling embers. I just said “no” to a new collie puppy that just wasn’t the right fit for me. How long will I need to wait? Do I go back to an online dating service or go with a local professional match service? I recently lost a couple of main clients, how will I regain that income? We’d probably banter back and forth about our everyday dilemmas and even bemoan political campaigns and ISIS threats, but then maybe we’d dig deeper in conversation. What do you say to a friend who has a loved one who is terminally ill? How do you keep trusting God when others think He’s rather removed from everyday involvement in our lives? Is it really possible to find joy in gut-wrenching trials? How? Questions like this is where trusting camaraderie is forged. I’m glad we had this fireside chat. We may not have solved everything we’re currently mulling over, but I think we’re on a good start for the year. Here’s one final question for you. What keeps us from being real and approachable with others? I’ll add another log or two while you send me your thoughts on this. Brave and Resilient Tip #130: Risk being approachable. Risk being real. I think we are afraid of driving the other person away, but the reverse is often true. At least that’s the thought that came to me from in front of my fireplace this morning! I think you are right, Nancy. Humble transparency can break down walls and lead to greater trust. Would you like a cup of decaf now?